Needed dinner, the chicken, which was in date, was off… What to do…? 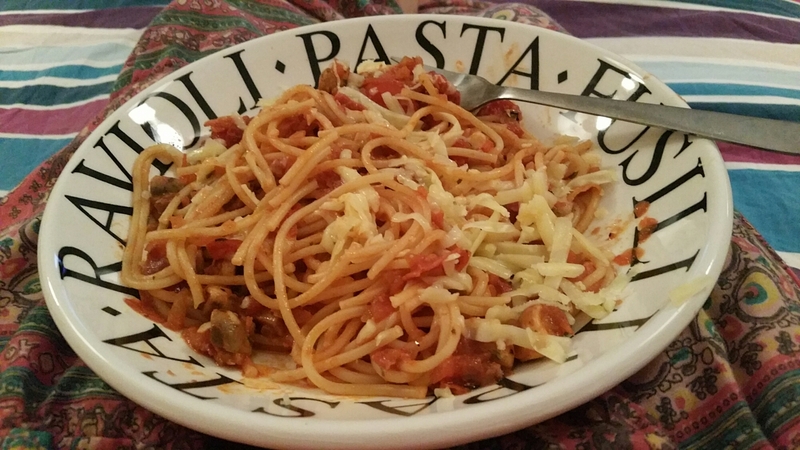 I threw a little onion, garlic, some chopped continental meats from a selection pack, tinned tomatoes, mixed herbs, mushroom n salt, into a pan… Added spaghetti, and here’s a lovely dinner, sprinkled with cheese, mmmmm! Then as I was picking up the pan to drain the pasta, one handle seems to have been over the flame more, and was red hot… Ouch! Stupid over here puts pan down, then … Picks the damn thing up AGAIN! Same sorry hand!!! Bit red on index finger, really red, and sore… I’m reckoning a blister by the morning! 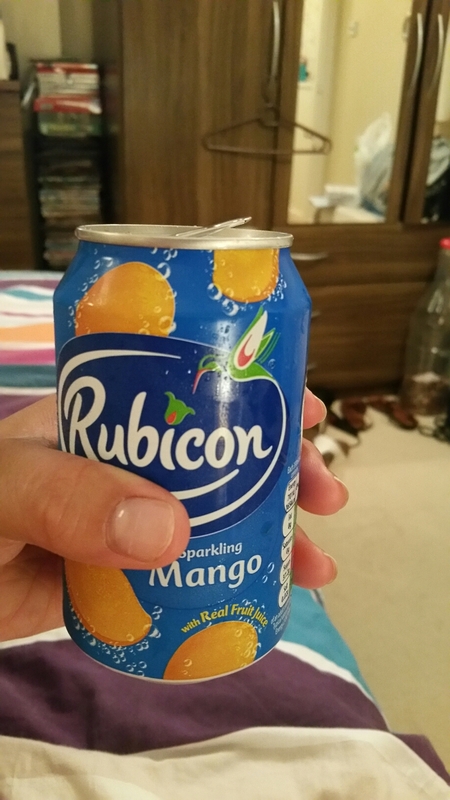 Relief by cold drink can on burnt hand… Perfect! Previous A Humbling Day Next School’s Out!!! OMG – Hope all is well with you! A teeny tiny o e dis! But nothing too bad! Sounds like me when I am cooking. What a nice cure though. It seemed wrong to press ‘like’ what I’m really doing is complementing your inventiveness and hoping your hand is not too sore. Good idea re the cold can. Lol! That’s OK Yvonne! Glad you liked the inventiveness!! The end appears not to be in sight…! Thanks! It’s not too bad, this morning, actually! Ouch! You need a Kägi Fret to heal it! I’ll need to go fetch one from my hiding place!!! No! Smart mommy! Very smart mommy!!!! I got some Ferrero Roches the other week and before I could think about eating one (ONE out of 16…) they were gone! Well we shall be overflowing with chocolate soon…. Teacher end of year presents are coming in!!! They can have those! Lol! Been there. Have a burn scar on my wrist when my arm got caught in a hot oven. Hope you feel better. It’ll add to my criss cross scars from various oven/iron burns on my arms! I have a burn on my hand right now because I dropped a piece of tofu by the flame and didn’t want to get out a fork… So I tried squeezing my hand in… I got it after about 3 or 4 tries… But later that night I realized I had two little burn blisters on my hand. Woops. Aw man!!! Another flame klutz like me!!! Thanks Tonya! Clumsy Ritu strikes again! Next time you burn yourself soak it in pickle juice. I’m not even joking – it takes away the pain instantly! Ooh! I haven’t heard that one before! Thanks for the tip! I know… I should know better, but I am terrible!! Thanks bro… You know me, by now… If somethings gonna happen, it’ll happen to me! I’ll go check the comments out! Thanks! I may have been a little heavy on the salt, as I haps all these salamis and Parma ham on there, but it wasn’t bad! Are you sure we’re not related? Aw thanks sis!!!! You know, I’m just used to my stupidity now… Writing about it is highlighting to me just how clumsy I actually am!!! I have done things like this too. You aren’t the only one my friend. I hope for fast healing. Tiny??!! Stupid fingers! Tony, I meant Tony!!! Oh no! I hate it when I do something like that. I once dropped a pan of brownies on my forearm as I was taking it out of the oven. The blisters were not pretty! Ouch!!!!! I can see at least 2 so far… At least it wasn’t my right hand! Ah yes! That would be even more awful. 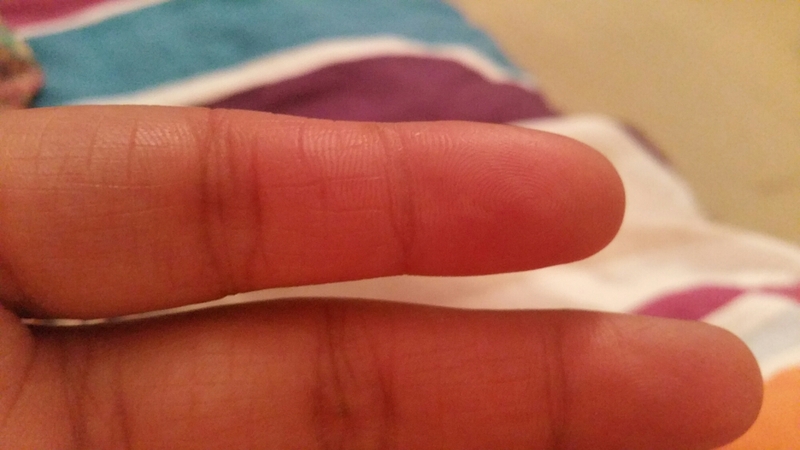 Burns are tricky… there isn’t much you can do to remedy them. Especially as it’s bed time, and anything I use to ease the heat, will rub all over my bed!